256 pages, 61 plain ill.
How does theory relate to practice? How should practice inform theory? Scholars all over the world struggle with these questions, particularly in urban research which offers simultaneously a field of deep theory and a very practical place of work. For the study of contemporary urban development in all its complexity, these questions are of utmost importance. The experiences of urban crisis require action that is informed, guided and grounded to improve living conditions. But the most important challenges of 21st century urbanisation are exacerbated by a growing gulf between theoretical understandings and practical considerations. The contributions to this book, from a range of internationally renowned and younger scholars, explore the dynamics that shape urban theories and professional practices today. 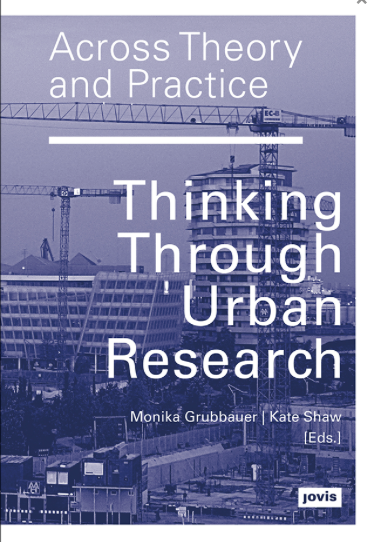 Drawing on rich experiences in research, policy and practice in various global contexts, the authors give reflective and personal accounts that provide insights into the ways in which urban researchers make use and sense of theory.